As it was put in one of this morning’s many articles, despite his age, “Ferguson was never a managerial dinosaur”. We may never see the like again in English football but his longevity and success during that period speaks volumes for his ability to adapt to the changing face of the world game. When he first took charge at United in 1986 it was before the Hillsborough disaster and the subsequent Taylor report and the onset of all seater stadia, before the onset of Sky and the money from satellite television. In an era where top flight footballers were well paid but not the global celebrities that now exist, earning many times more than their manager. United, like many football clubs had a drinking culture among players, who traditionally trained in the morning and had the rest of the day free. Footballers are now highly trained, fit athletes, who train longer and are kept fit and healthy by the use of the latest in sports science and medical knowledge and technology. As with health and fitness, tactics and performance are analysed relentlessly. From sending Brian Kidd off to investigate what football clubs were doing in other countries early in his tenure, Ferguson has continually looked to learn and gain whatever advantage he can in what he gleans from others. 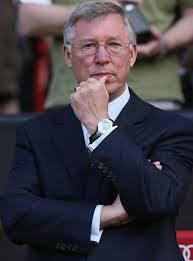 It might be thought unusual to talk of Ferguson as humble but without humility it is difficult to learn. It’s also been the cornerstone to the way he always puts the team first. When they perform well he praises the team and individuals, he virtually never singles out players for public criticism but keeps that to the dressing room. Putting the team first has also led to him ensuring that everyone knows who’s in charge. As far as he’s concerned the buck stops with him, so he has to be in charge. When anyone disrupts the team spirit, or goes against him they rarely last long, however, high profile – ask David Beckham, Roy Keane, Jaap Stam, Ruud Van Nistelroy! It’s a team game and no individual can be seen to be bigger than the team. In doing this Ferguson has also built a culture of ownership of their performance – when they have a bad day there are no excuses – the players and the manager own up. Excuses limit the ability to put things right. This season United had a very poor defensive record early in the season, Ferguson frequently spoke about it and talked about putting it right and they have – they have had twice as many clean sheets from January to April as they did from September to December last year.